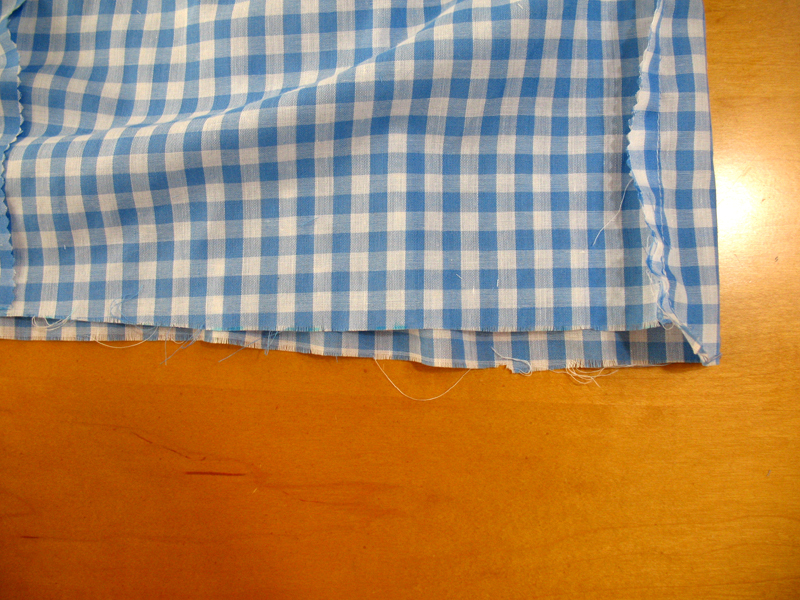 Roll mouse over image for closer look. 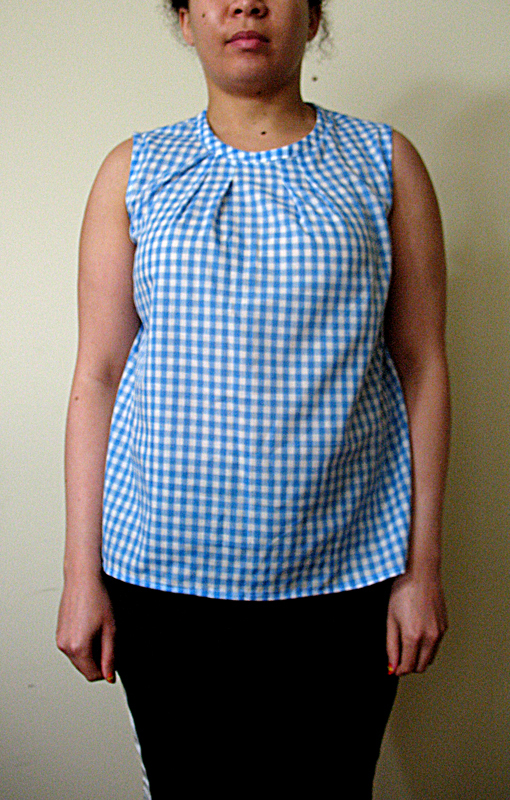 Anyway, my next Pattern Probe was inspired by my need for more summer tops. 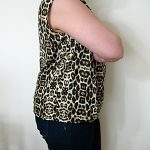 Changing my wardrobe for the warmer months made me realize that I don’t have a great deal of them. 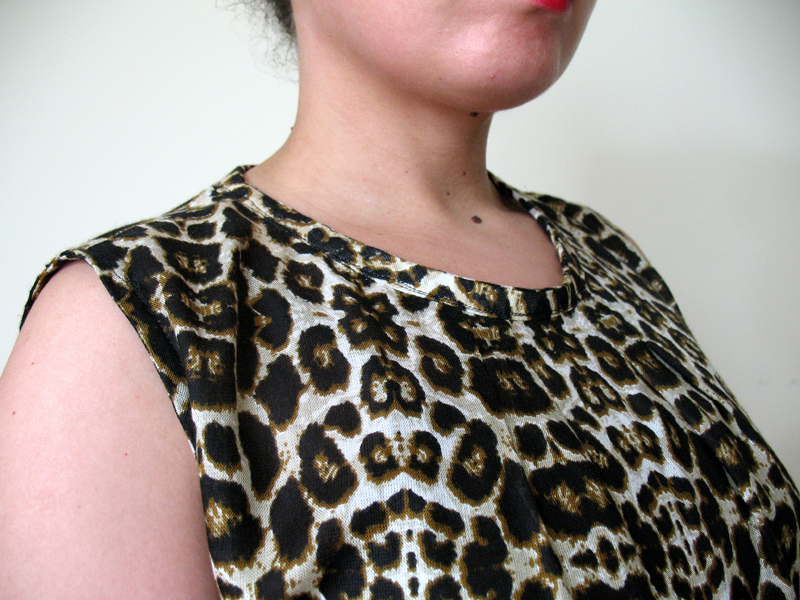 Plus, I had this great leopard print lightweight fabric I bought for a song because there was only a little over 1 yard left. 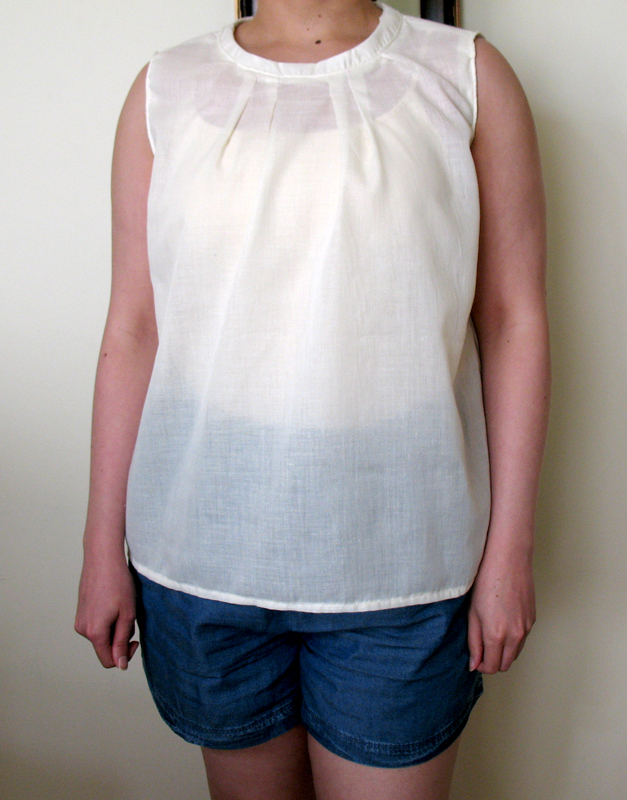 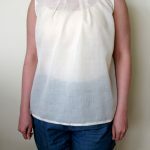 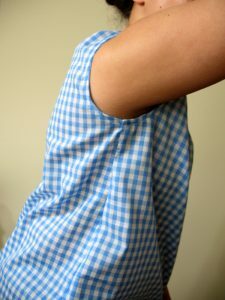 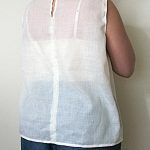 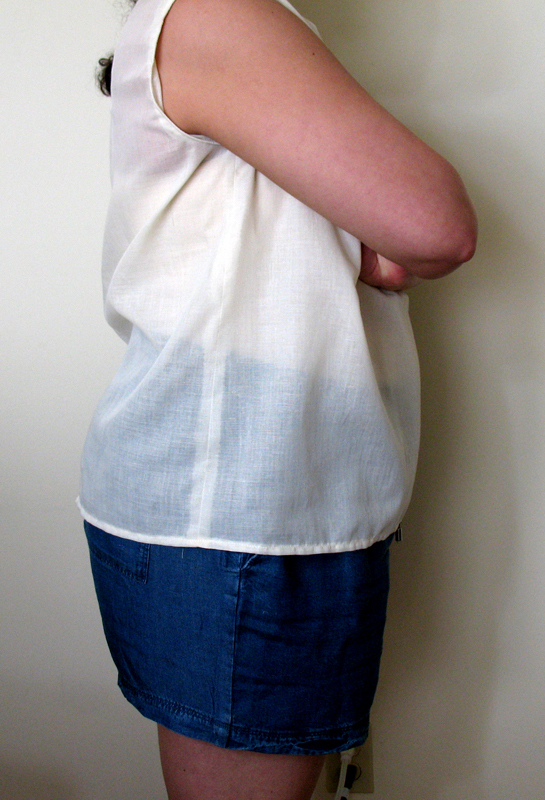 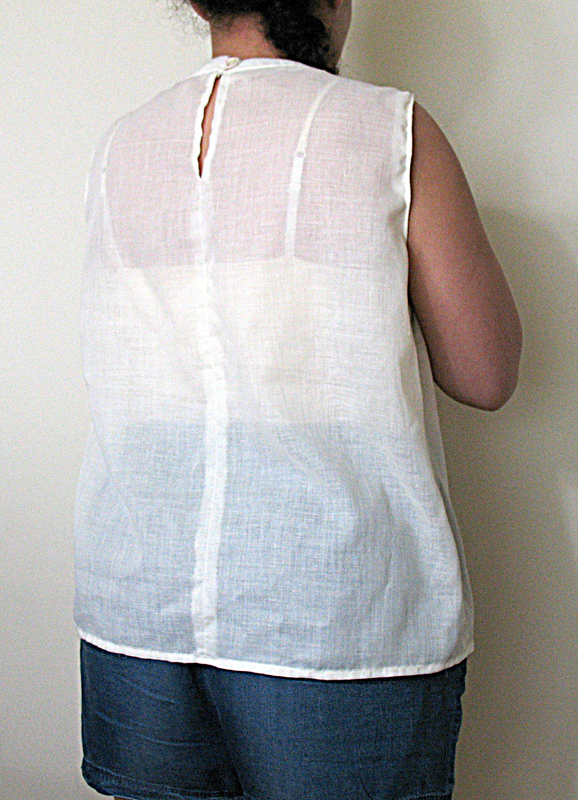 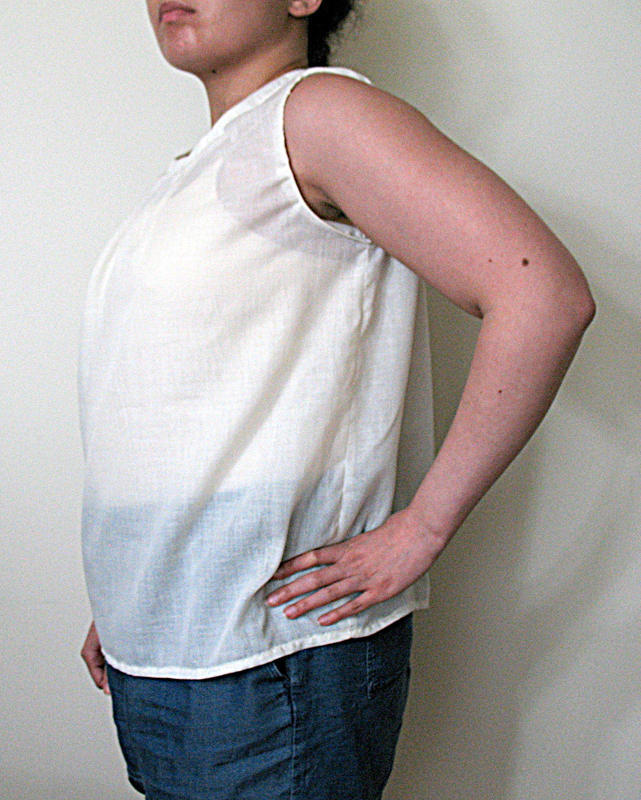 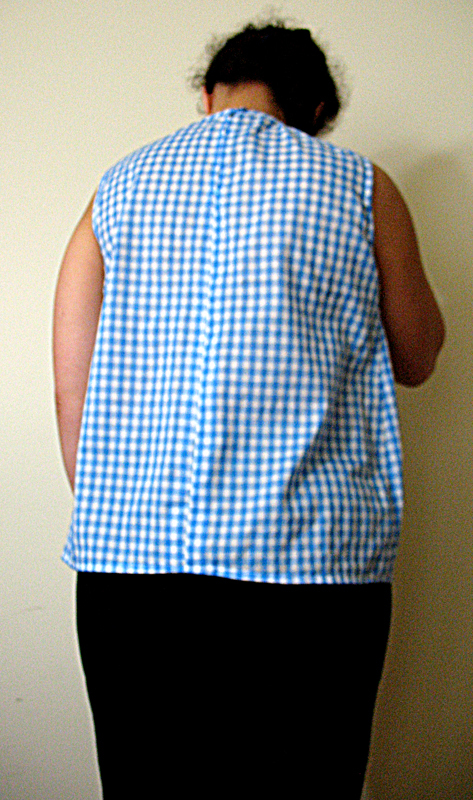 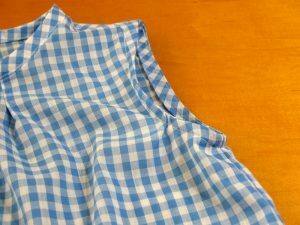 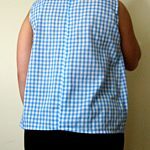 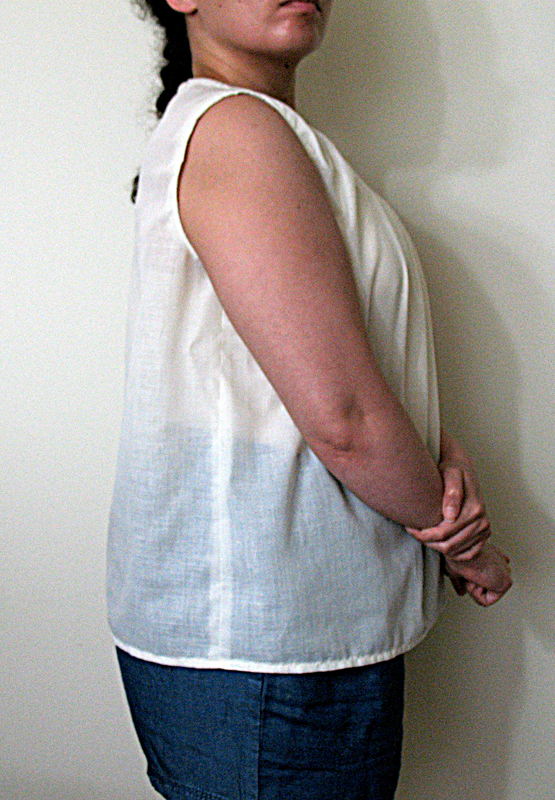 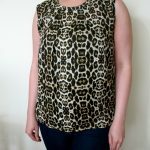 After going over my pattern collection, this Simplicity one had a sleeveless design suitable for the limited amount AND I haven’t tried it yet, so this was the one I went with. 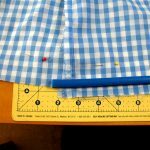 Because I was unfamiliar with the flimsy feel of this fabric I had a limited amount of, I made 2 practice versions of this pattern first. 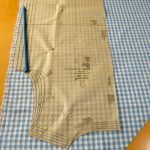 I have to say it was a good call on my end because I needed to learn how to use this pattern and figure out the right fit/proportions for this fabric. 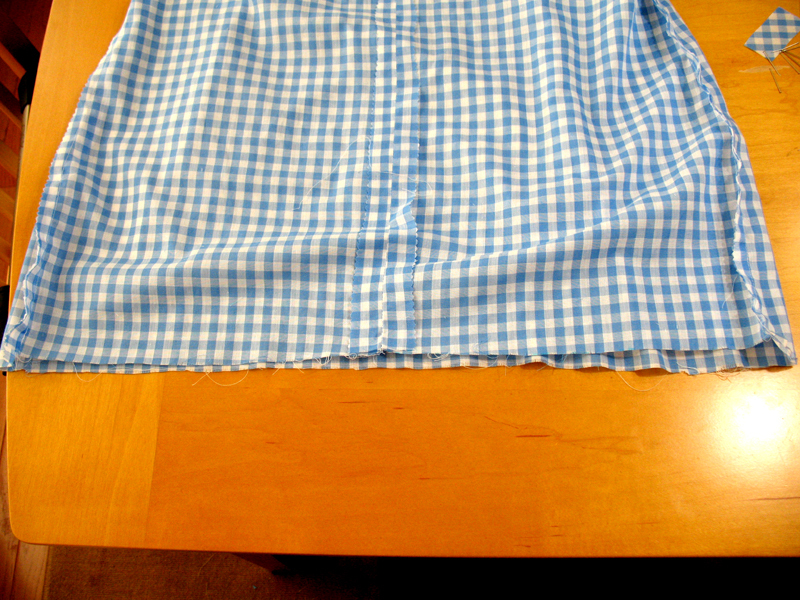 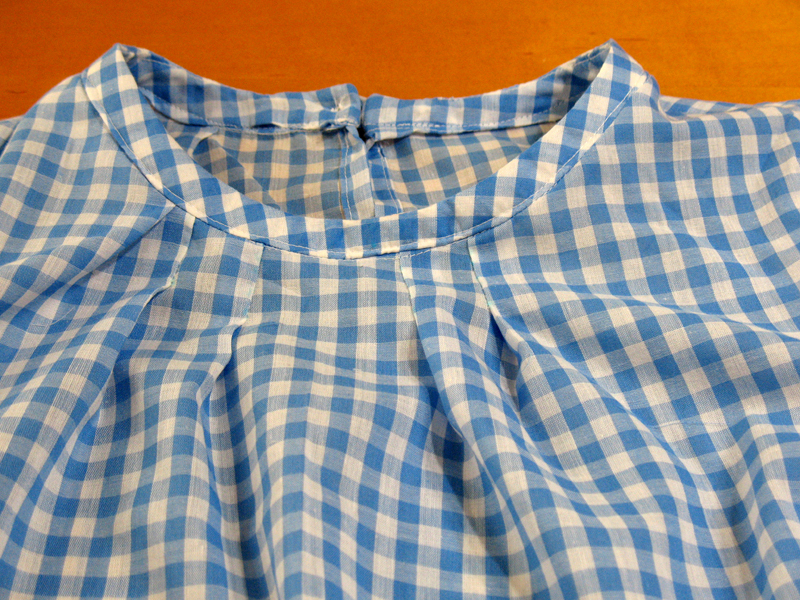 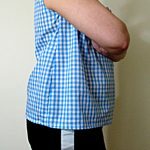 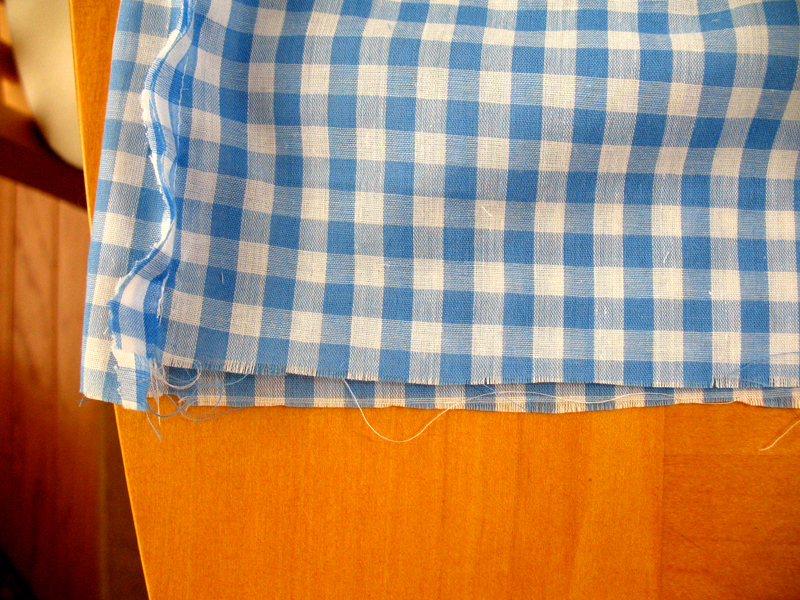 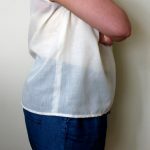 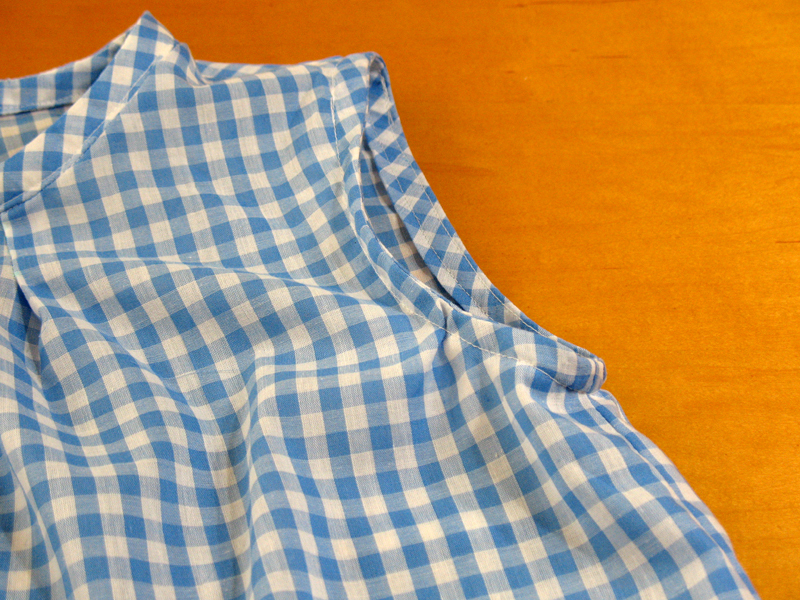 I got all my mistakes out of the way with scrap inconsequential fabric so that the top I wanted would turn out better. 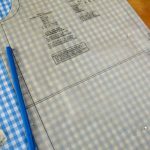 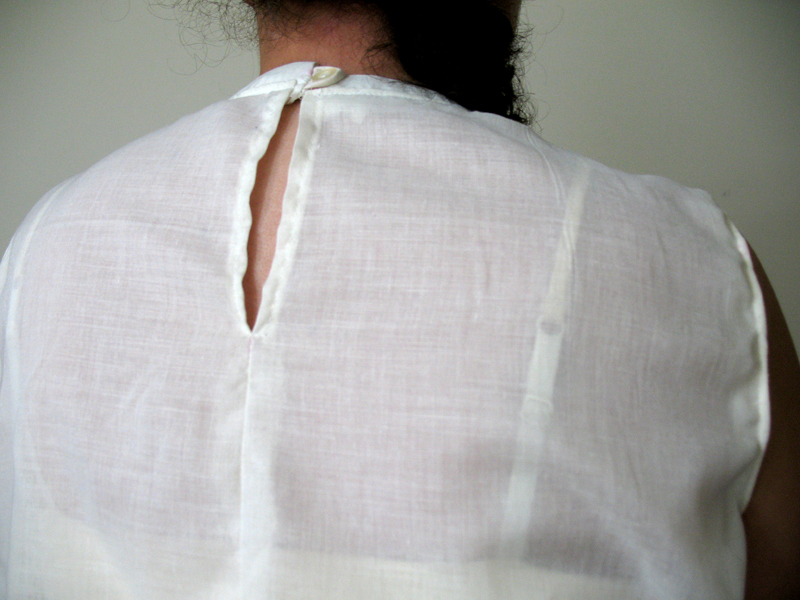 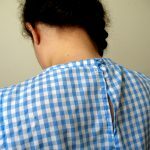 While I was following the directions sewing this toile, the collar installation step required more effort since I wasn’t entirely sure what the directions wanted me to do. 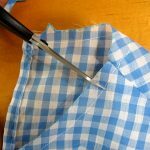 This is where I ran into my first problem. 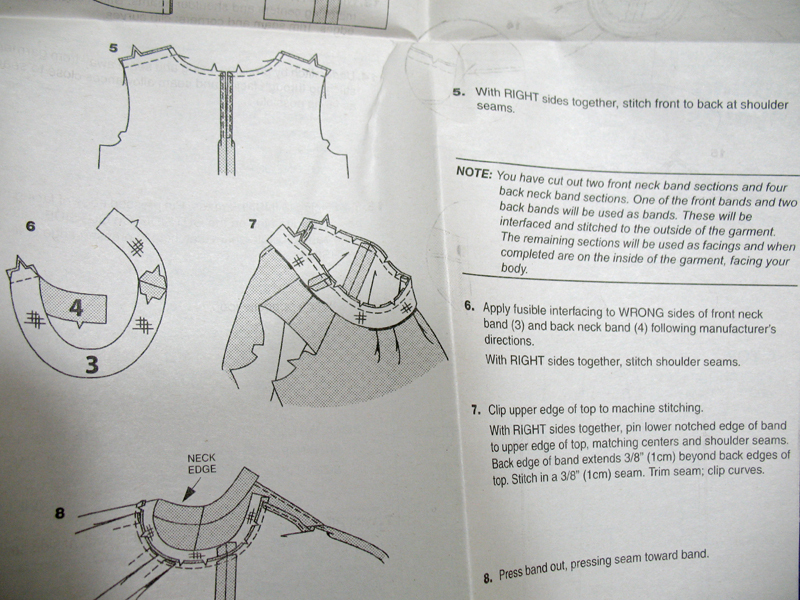 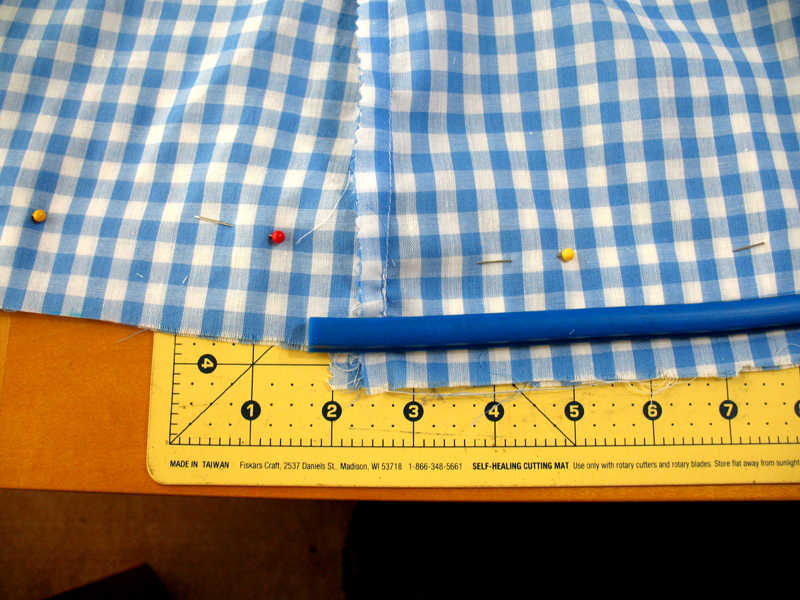 The collar pattern piece size that corresponded to the bodice pattern piece size didn’t match up. 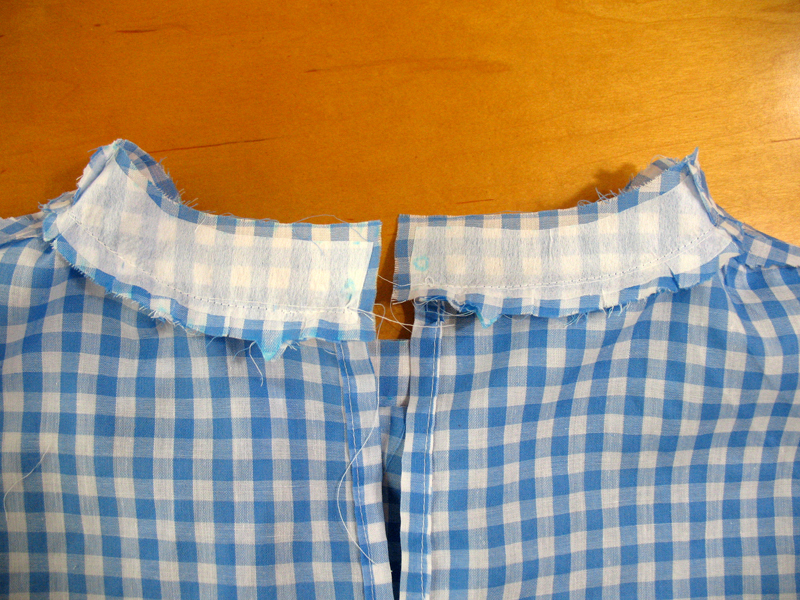 I had a hard time pinning/sewing the collar to the top, and I ended up scrunching the top just so that it would match with the notches/markings. 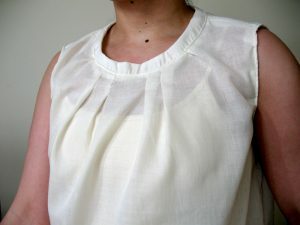 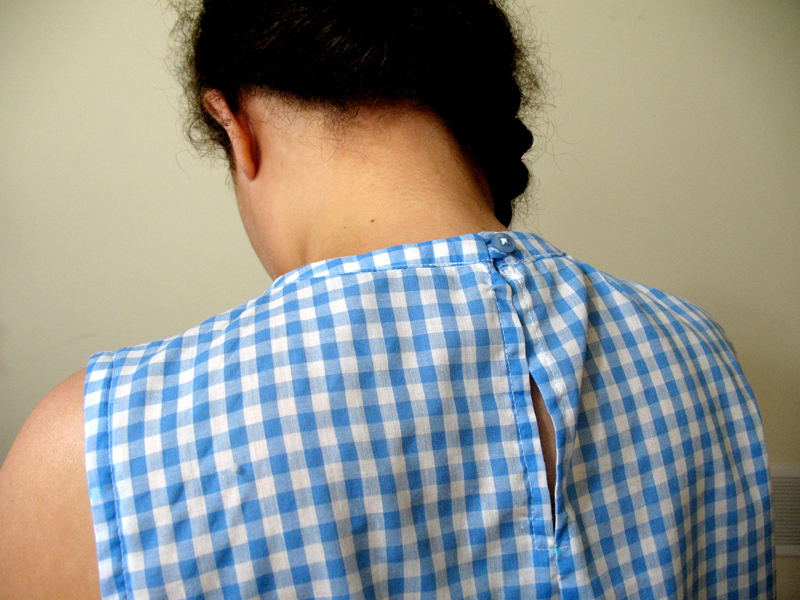 There was an extra pleat to the neck making it less symmetrical to the eye. 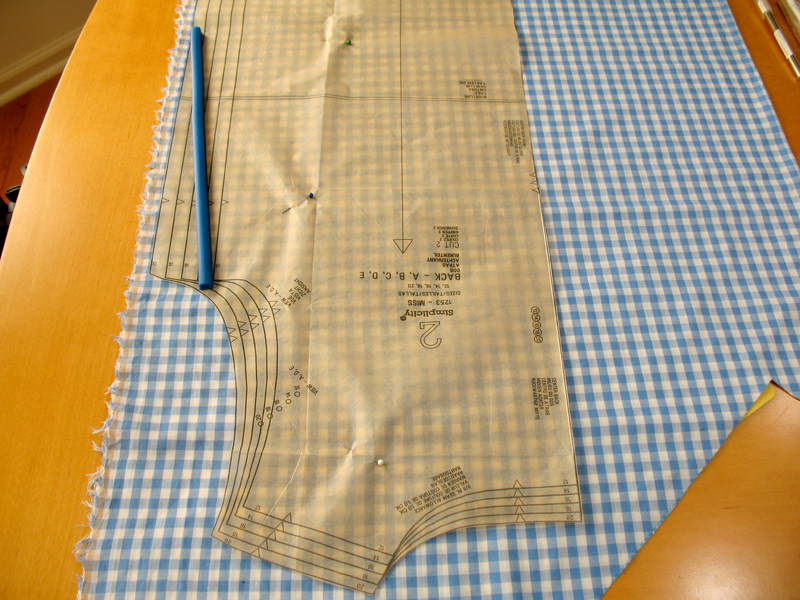 So after all that, the toile fit okay on my body with the specific measurements. 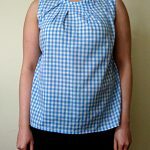 However, the design didn’t seem to coincide with the closer fit that well and that extra pleat in the neckline looked like a sewing mistake (which it was). 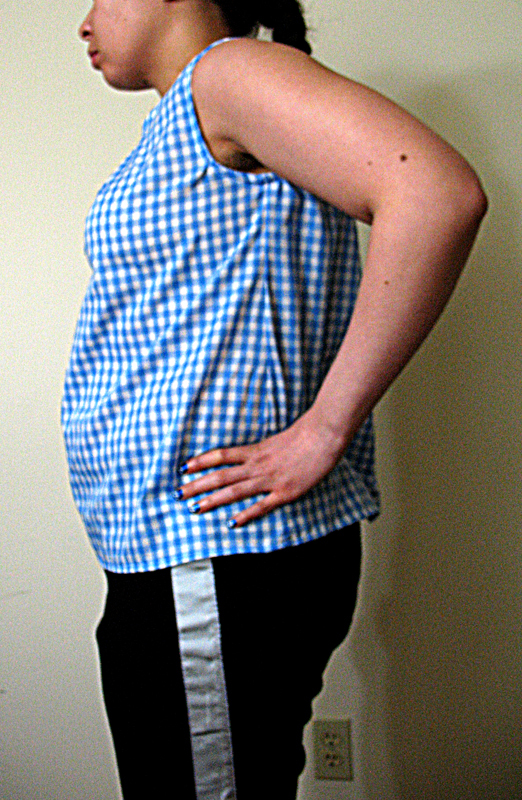 It was a good thing I made this for practice because I would not be happy with a top that looked like this! 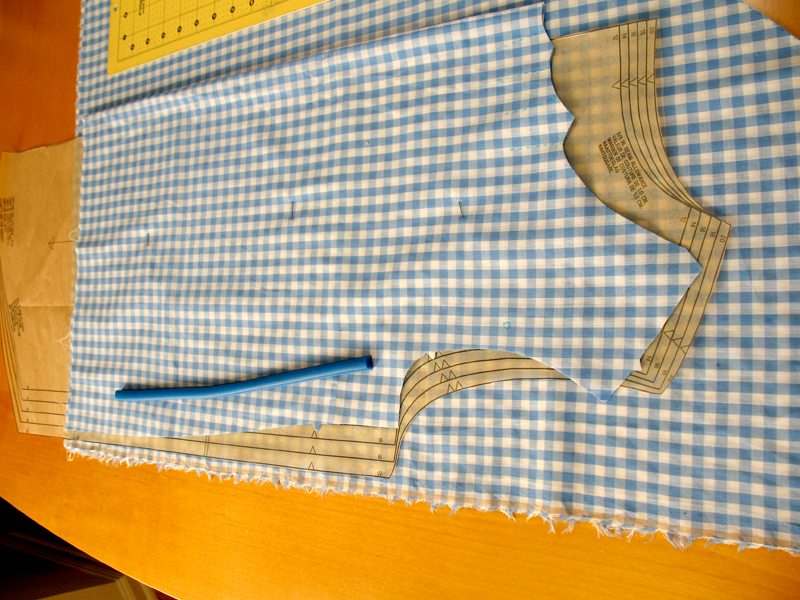 Time to try again with another toile. 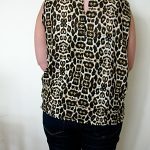 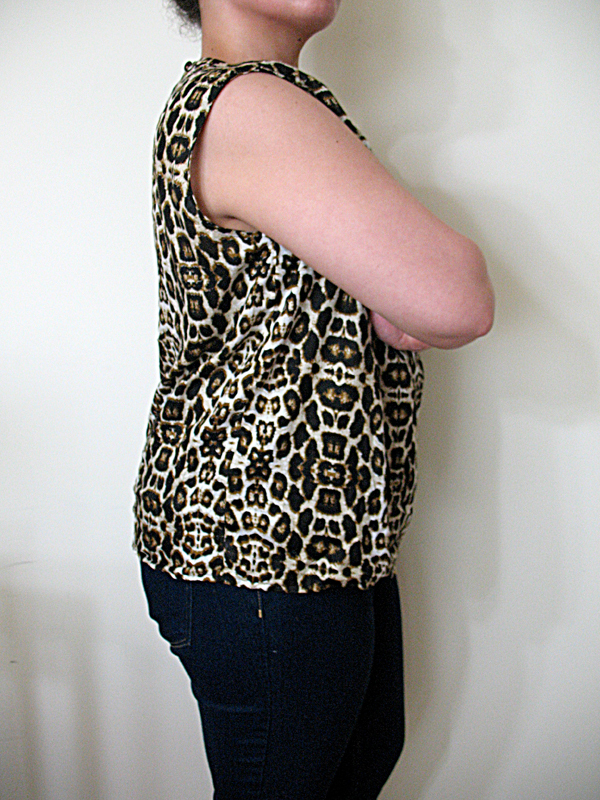 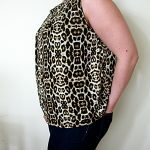 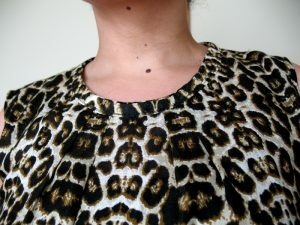 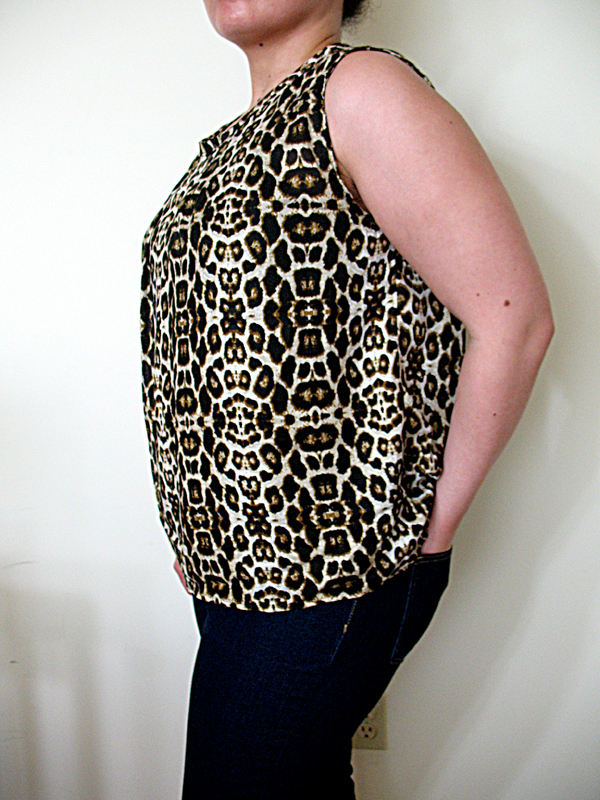 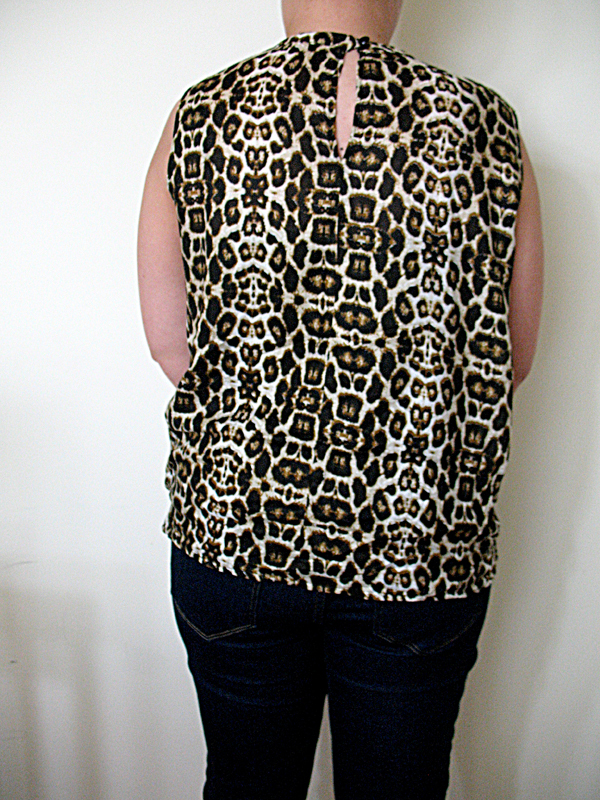 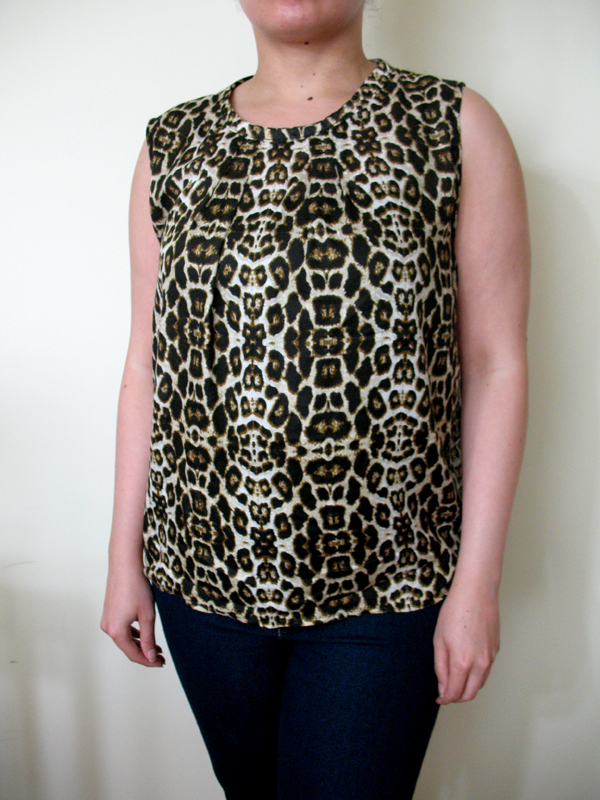 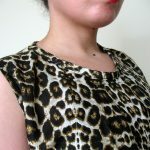 Okay, so I had some fabric lying around that had a similar weight to the leopard print, and used that in my second try. 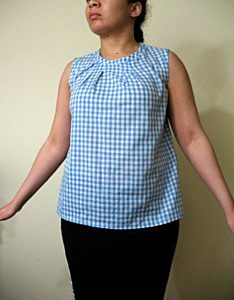 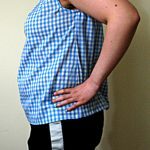 This time I used one pattern size that accommodated my waist/hip measurements while having a larger bust than what I have (size 18). 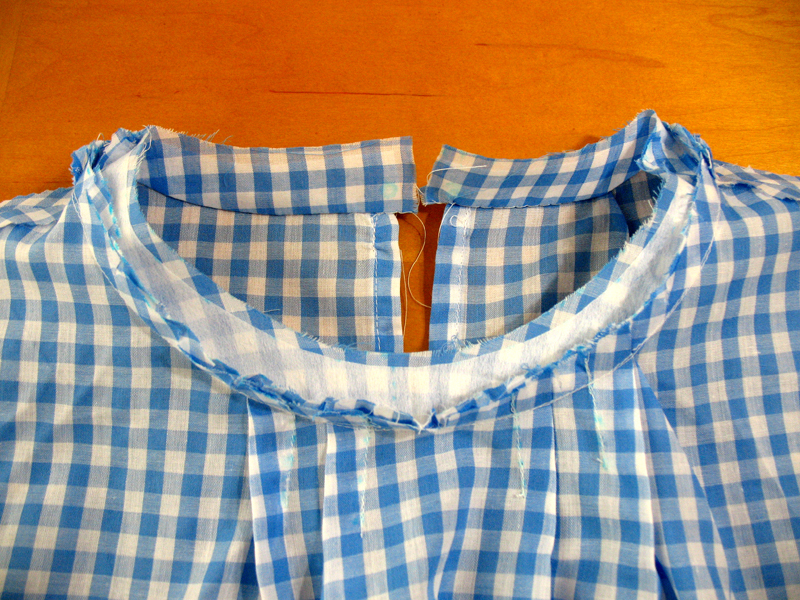 As for the armhole facing pieces, I went down ONE size from the bodice (size 16), and I kept the corresponding collar pattern pieces for the bodice (size 18) just to see if it was my fault for the collar issues. Fortunately I had an extra button loop piece, so I hand-sewed the tube instead and used a toothpick to assist the inside/out process. 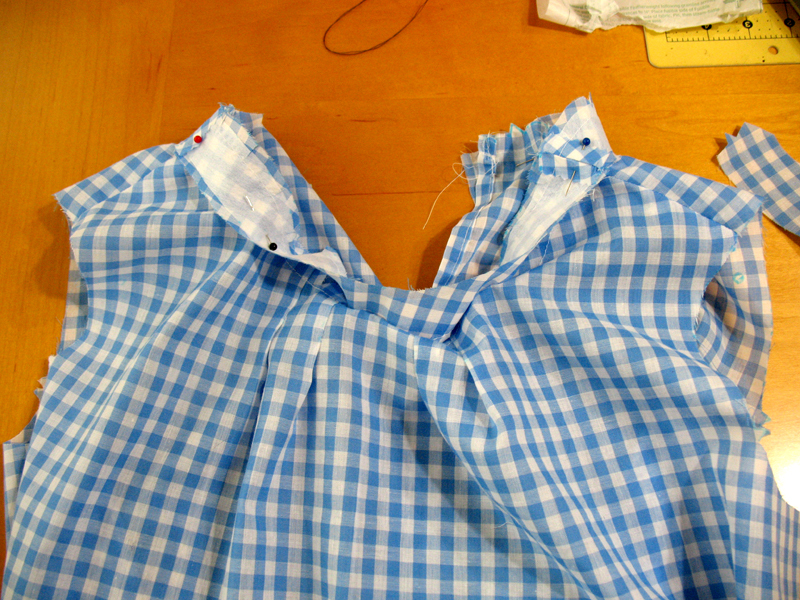 It worked out better this way. 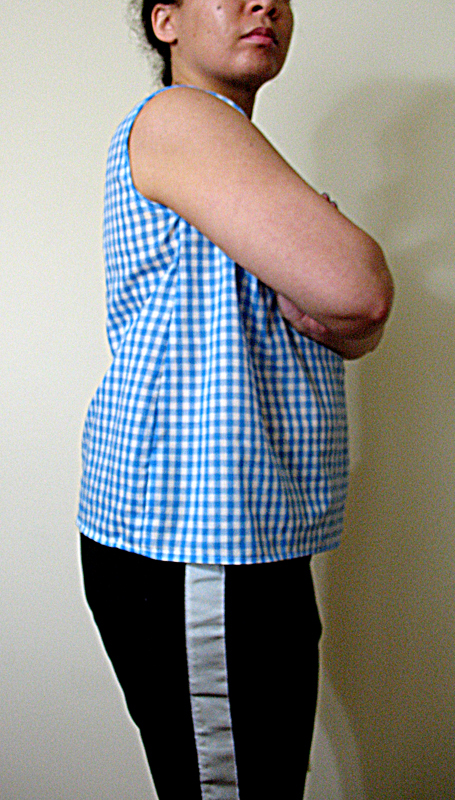 So again, I’m glad this was another practice garment and not the real thing. 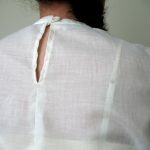 I made all the mistakes I could with these toiles and learned from them to prevent the real top from looking terrible. 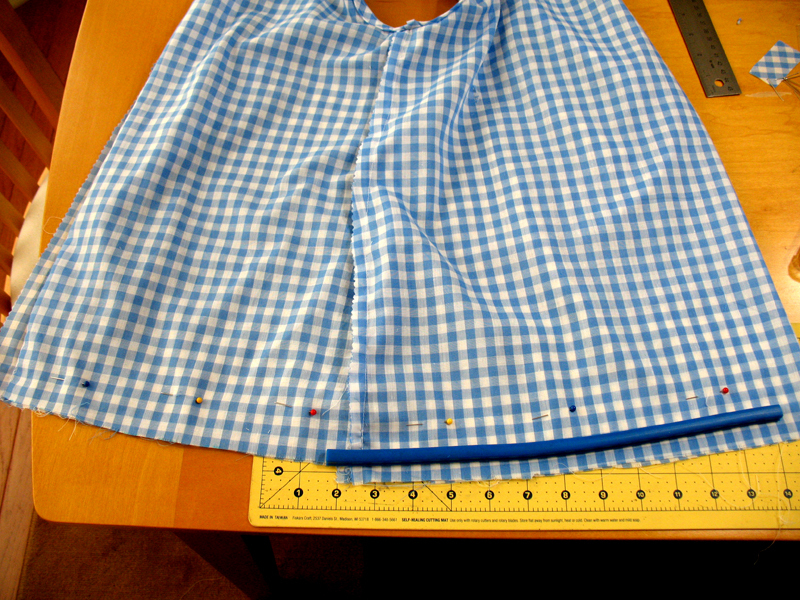 After 2 tries, I made the necessary adjustments to the pieces and the construction. 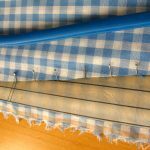 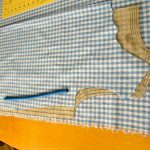 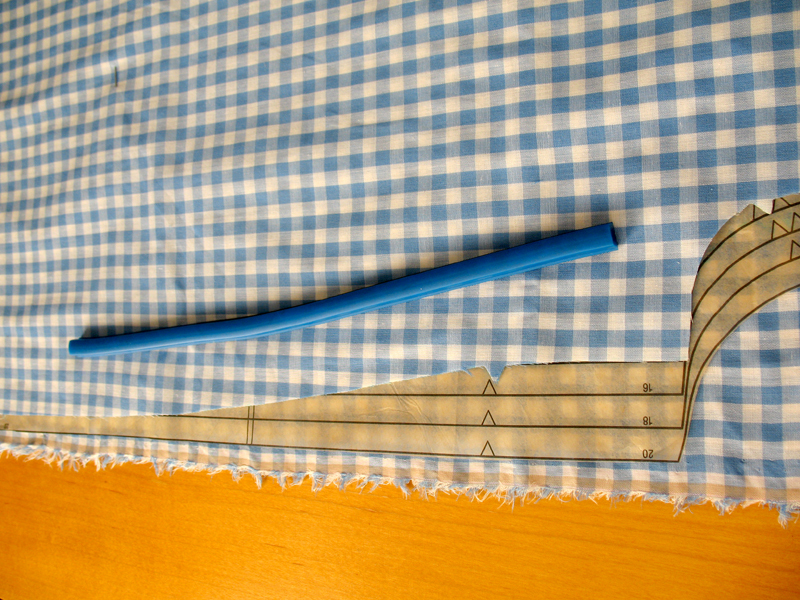 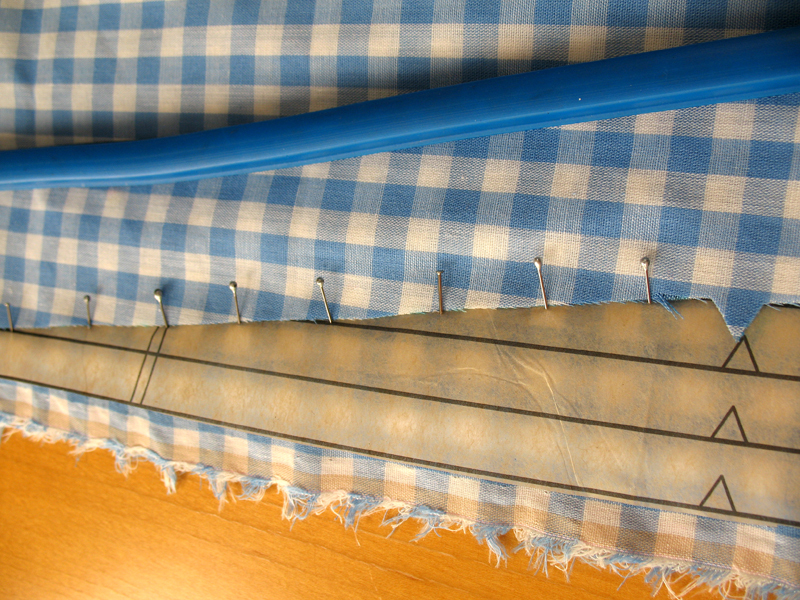 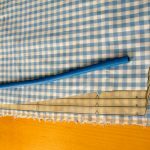 First, I changed my sewing machine needle from the all-purpose to a lightweight fabric one & I tested the stitch length/tension on scraps to figure out what would be best for the fabric. With the pattern pieces, I stuck with the same bodice size (size 18) and armhole facing size (size 16). 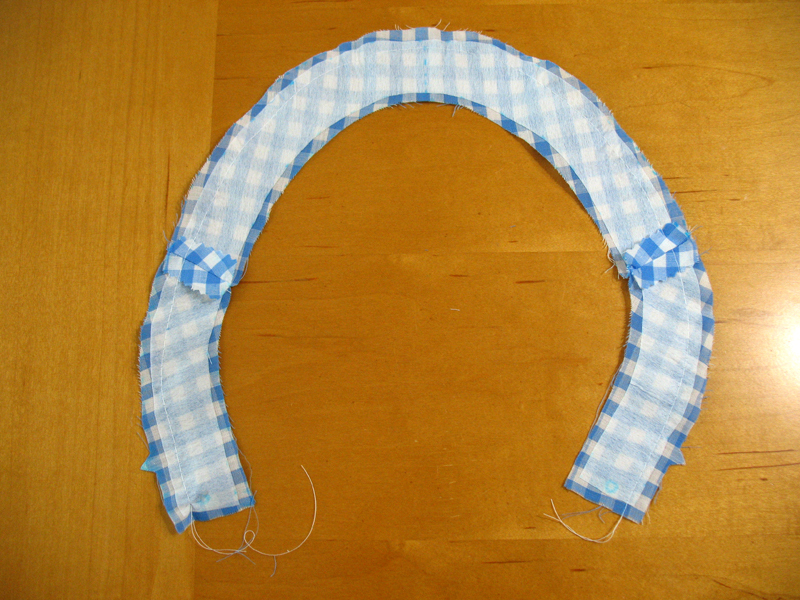 However, I went UP a size with the collar pieces (size 20) to see if it would fit better around the neck. 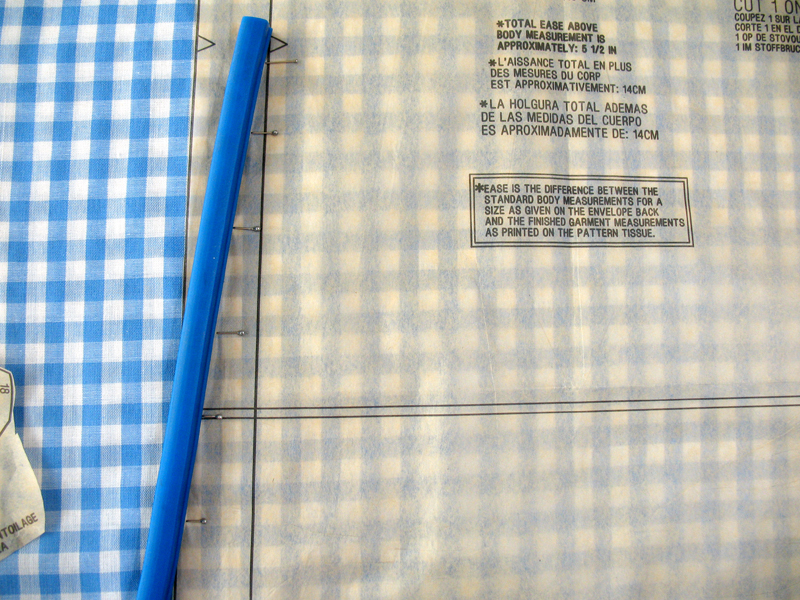 Boy what a journey this assignment was! 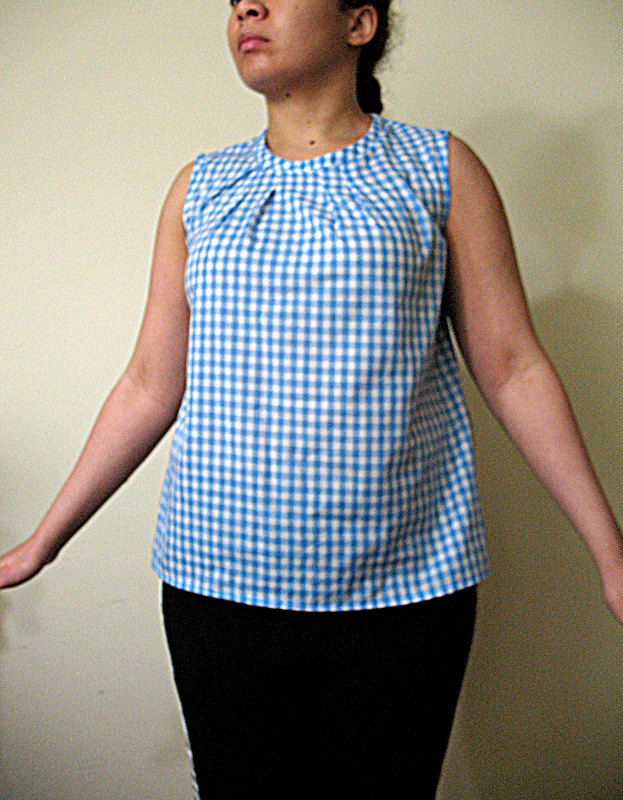 But I would do it all over again because I learned so much just practicing on scrap fabrics, that I was able to cut/sew the top I wanted with very few ugly mistakes. 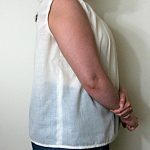 It may seem like a lot of wasted time, but I would recommend making 1 or 2 toiles for practice and fit tests just like the pros do since good fabric is not cheap and easy to come by. 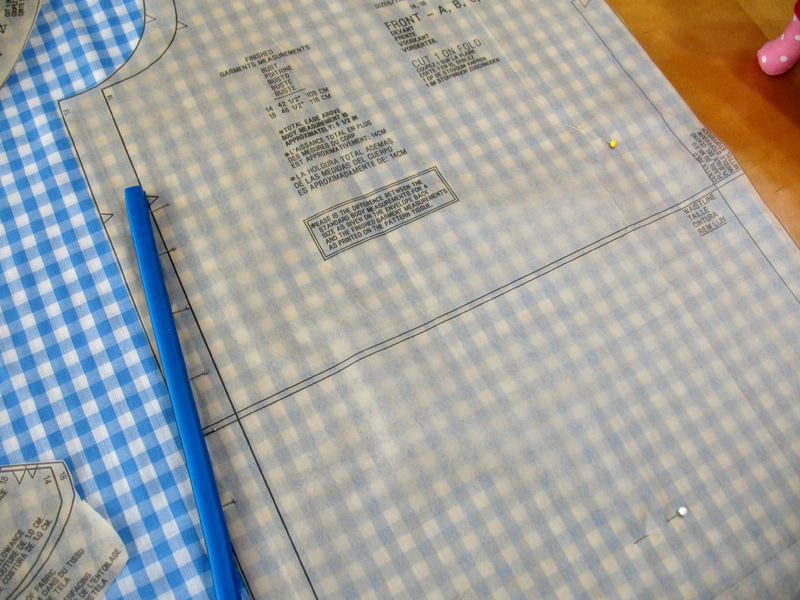 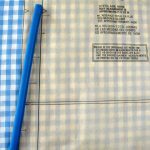 As for this pattern, I love the simplicity of the design & the instructions (no pun intended). 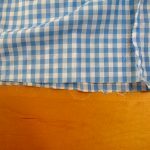 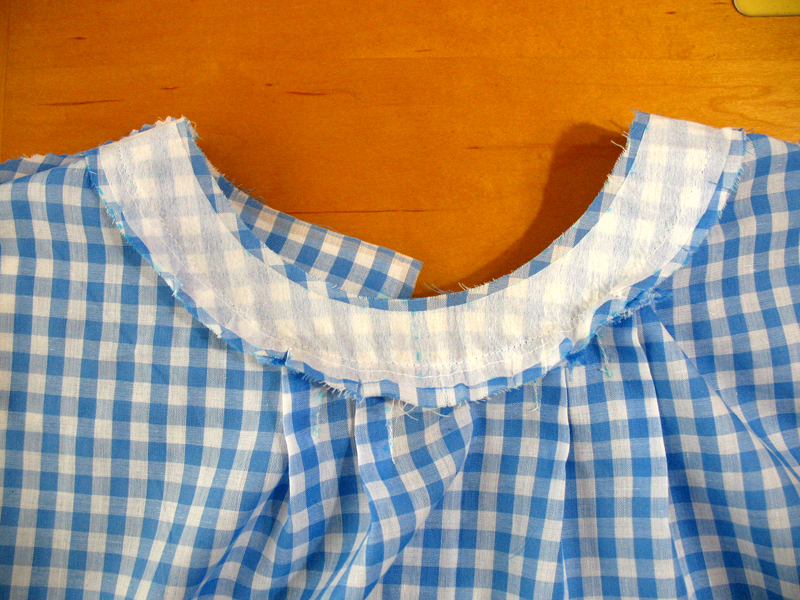 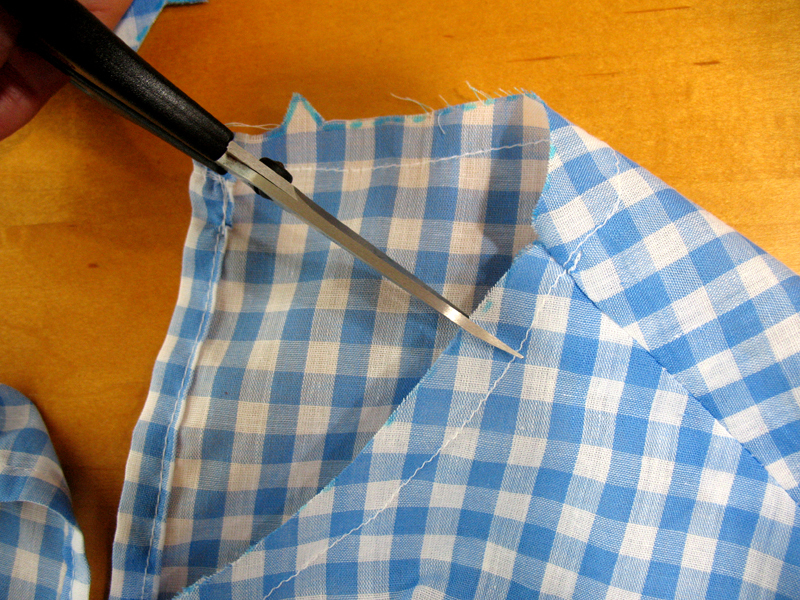 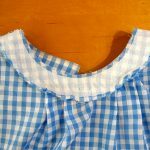 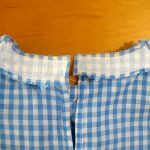 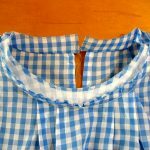 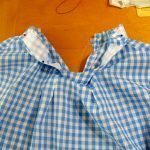 It’s not overly complicated in construction, but the collar will take some time and patience to sew, and that’s as difficult as it gets. 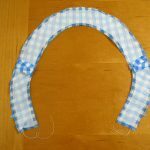 I would recommend this for crafters who are still beginners but have a little basic experience under their belts. 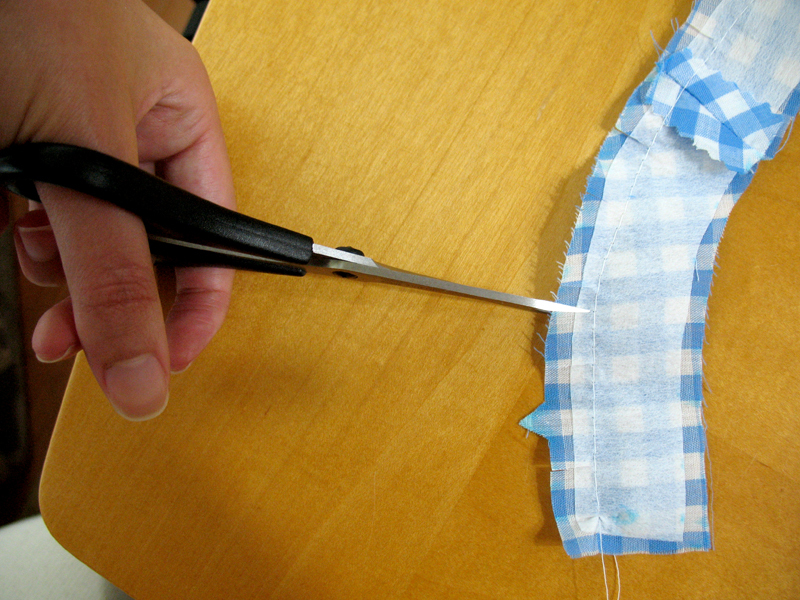 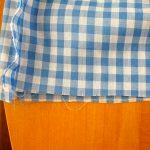 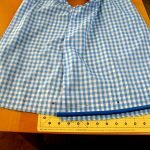 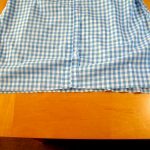 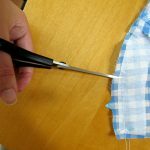 Amateurs may want to start with patterns made for people jumping into sewing for the first time, then hop on this one when they’re ready to take on a new challenge.